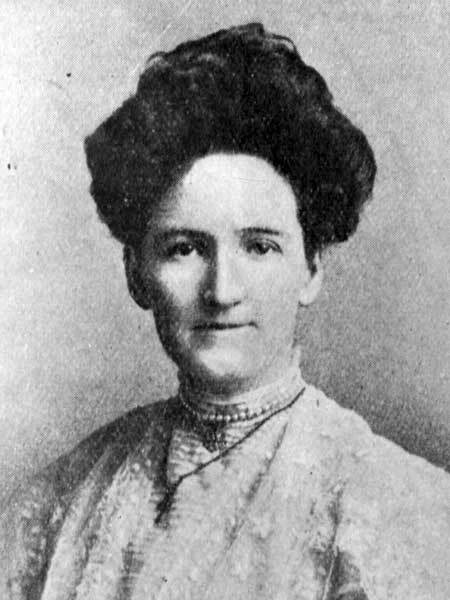 Born near Chatsworth, Ontario on 20 October 1873, daughter of John Mooney and Letitia McCurdy, she moved with her family to Manitoba in 1880 and was educated at Northfield Public School and the Winnipeg Central Collegiate, receiving a First Class Teachers Certificate from the Winnipeg Normal School. Her emergence to prominence began when she entered an American short-story competition in 1902 and was encouraged by an American publisher to expand the story into a novel, which became Sowing Seeds in Danny (1908). It sold 100,000 copies and brought its author a small fortune by contemporary standards. She and her husband moved to Winnipeg with their four children in 1911, and she helped organize the Political Equality League in 1912. Frustrated with the difficulty in arousing male politicians to reform, she redoubled her political efforts, particularly as a platform speaker. After many early humiliations she became a good one. She satirized Premier Roblin—who had failed to respond to her calls for action—at the Mock Parliament of Women in 1914. McClung and her associates, supporting the Liberal Party, were unable to defeat Roblin’s government in the 1914 election, but Roblin soon fell under the weight of the scandal associated with the construction of the new legislative building. Meanwhile, the McClungs had moved to Edmonton, where Nellie again led the fight for female suffrage, achieving success in 1916. She was an enthusiastic supporter of the war effort and the Red Cross, and in 1921 was elected to the Alberta Legislature, where she championed a host of radical measures ranging from mother’s allowances, to dower rights for women, to sterilization of the mentally unfit. She was defeated in 1926 because of her temperance stance. Nellie subsequently helped lead the successful fight for Canadian women senators. The McClungs moved to Victoria in 1933. In her West Coast years, she was a CBC governor (1936-1942), a delegate to the League of Nations (1938), and an advocate of divorce reform. She was throughout her life an active Methodist, prominent at the national and international level. Apart from her first novel, none of her fiction has withstood the test of time very well. McClung has done better with her autobiographical memoirs, In Times Like These (1915), Clearing in the West (1935) and The Stream Runs Fast (1945), all of which are highly regarded and have been reprinted. Like most early feminists, McClung was not as consistent in her liberated attitudes as she might have been. Her keen (almost bloodthirsty) support of the First World War and her positive attitude toward eugenics unquestionably mark her as a figure of her time. She died at her home near Victoria, British Columbia on 1 September 1951. She was inducted posthumously into the Manitoba Agricultural Hall of Fame. She is commemorated by Nellie McClung Collegiate in Manitou and Nellie McClung Park in Winnipeg. In 2010, her Winnipeg home at 97 Chestnut Street was designated in the Memorable Manitobans: The Homes program. “Canadian author, campaigner, dies,” Winnipeg Free Press, 9 September 1951, page 7.